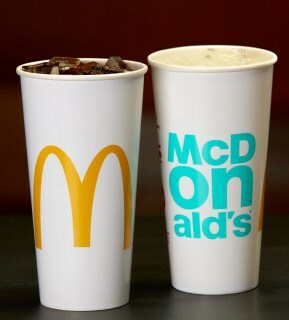 A new simplified packaging for McDonalds is being rolled out over 2016. This update involves new design for their carry-out bags, fountain beverages cups and sandwich boxes. The design is due to be launched in the US later this month, then followed by the UK and Europe, with over 36,000 restaurants expected to receive the new designed packaging over the coming year. 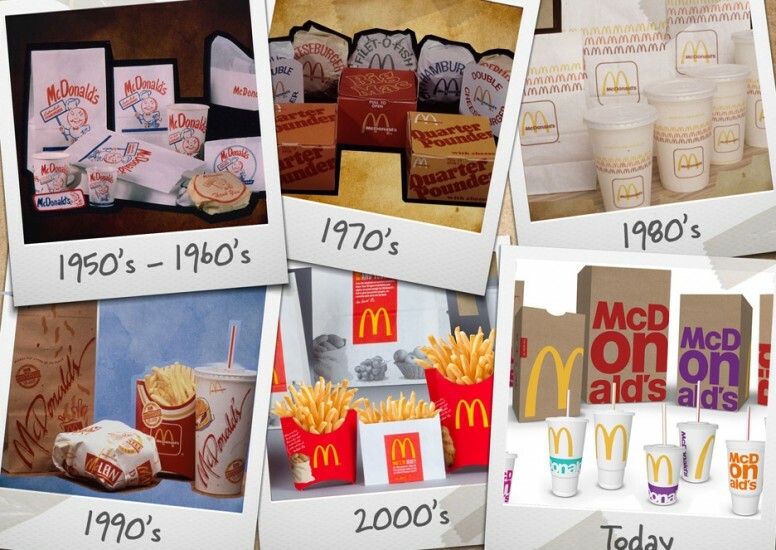 For the rebrand, McDonald's worked with a team of designers chosen from its various consultancies, including Leo Burnett, TBWA, DDB Hong Kong, Creata and Landini, Forpeople, and Boxer. Boxer then developed the ideas at its UK office, and then passed over the project to its outpost in Chicago. To create this new look, bold oversized graphics have been used to cover surfaces of the paper and card containers and then paired with the company's iconic golden arches logo. They’ve incorporated a bright colour palette which consists of purple, cyan, magenta, orange and lime green along with the traditional red and yellow. This is a new direction for the brand which is being more ‘modernised and made more progressive’. It’s striking and simple design is very eye catching and allows the packaging to act as a mobile billboard for the company. 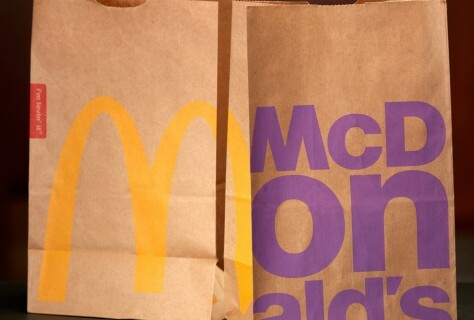 So many people love the McDonalds brand and this has meant that they can be more playful with the type and the design. It's very striking and in-your-face because people love these products. 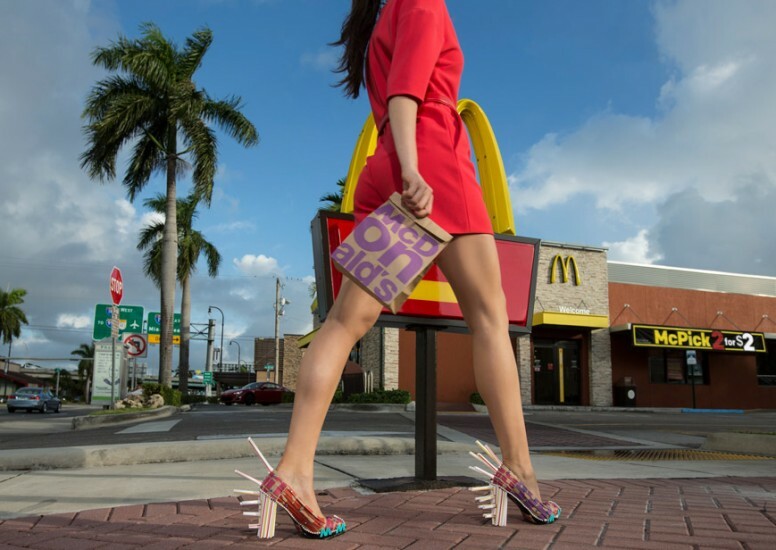 To link with the release, two students from Miami International University of Art and Design were asked to create fashion accessories using the packaging. 50 bags, 72 straws, 22 cups and eight sandwich boxes were used, along with rhinestones and pearls, to create the collection that includes a sun hat, a pair of straw-spiked shoes, four handbags, and a backpack.